Human and wildlife conflict is much debated in recent times as it poses a major threat to survival of many wild animal species in different parts of the world. At the same time, it has also acted as a significant threat to local human populations. 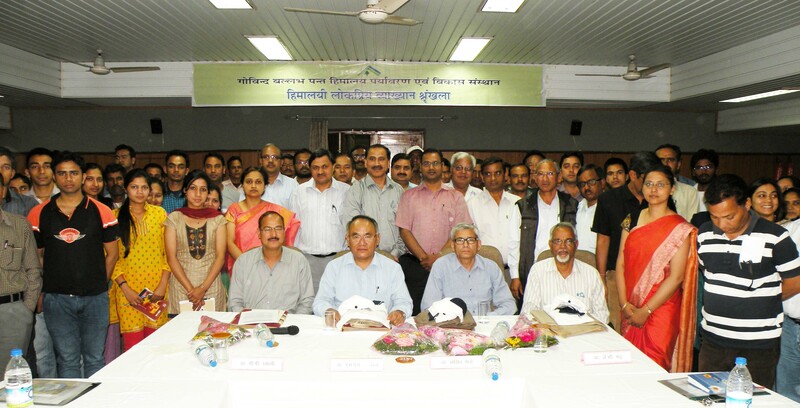 Considering the important of the subject in IHR, the first popular lecture of this series was organised on 15th May 2014 at GBPIHED-HQs, Almora. The keynote was delivered by Dr. S.S. Garbyal, DG (Forests) & Special Secretary, MoEF,Govt of India. The discussion highlighted the major policy initiatives that need to be taken up to handle this alarming issue. 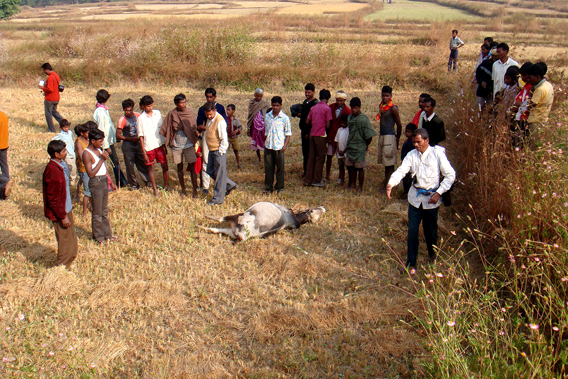 Man-animal conflicts are common in various parts of the country. Incidents of man-animal conflict are reported from States/Union Territories of the country. In India, wild elephants probably kill far more people than tiger, leopard or lion. 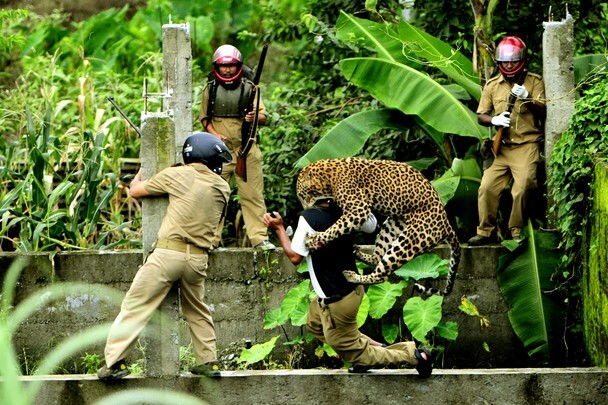 But, surprisingly, human conflict involving leopard draws great amount of public attention compared to other animals. Other carnivores – tigers, lions and wolves which have been known for causing a large number of human deaths in the past, are now mostly restricted in range and their impact is not as widespread as that of the leopard. The Government is giving highest priority to mitigate the problem. It supplements the financial resources available with the States/ Union Territory Governments for the purpose by providing limited funds under the Centrally Sponsored Schemes of 'Project Tiger', 'Project Elephant' and 'Integrated Development of Wildlife Habitats'. 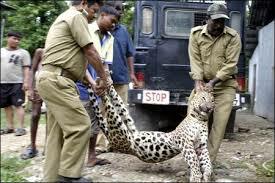 Payment of ex-gratia to the victims of wild animals is the responsibility of the concerned State/ Union Territory Governments. 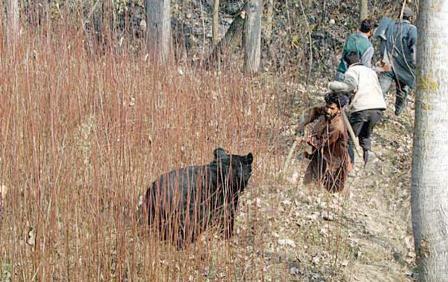 Animals like elephant, tiger, leopard, wild dog, monkey, wild boar; Nilgai, bear, sambar deer etc. 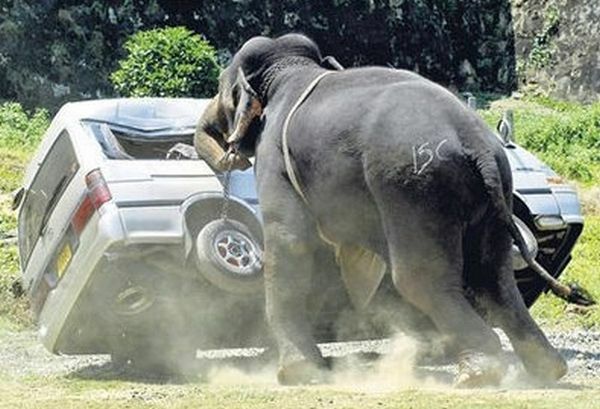 are major animals involved in human-animal conflict in India.